Hot from James' game masterclass is this tandoori partridge and quail recipe. It's a great way to try game for the first time. Mix the spices together with the yoghurt and the juice of half a lime in a large bowl. Place the quails and partridges into the bowl and make sure they are coated thoroughly with the spied yoghurt. Cover and place in the fridge overnight. Light a BBQ and when the coals are white hot place the partridges and quail on a rack over the coals for 10 minutes, turning half way through. Meanwhile mix the salad ingredients together in a bowl. 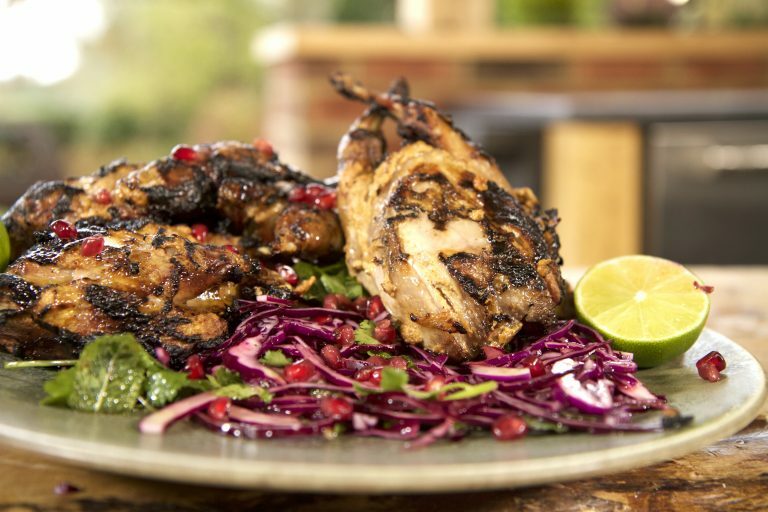 Serve the game, hot from the BBQ with the salad, sprinkle with pomegranate seeds and wedges of lime.